“Dashing through the snow…” WAIT! 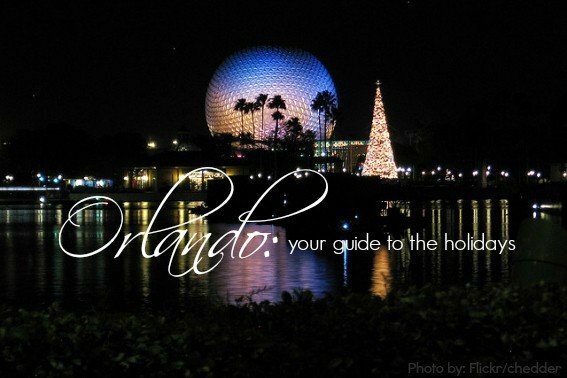 There might not be snow to dash through in Orlando, Florida during the winter holidays, but that doesn’t mean the holidays aren’t everywhere you look! 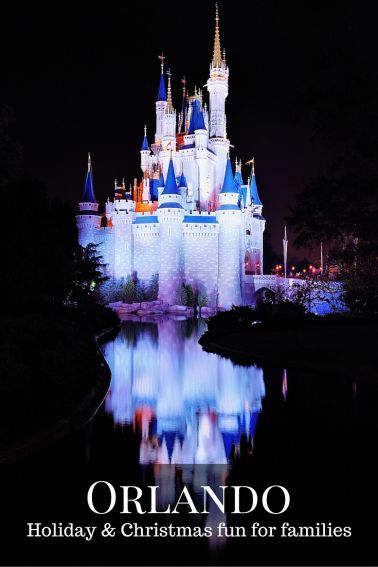 Many of your favorite Orlando vacation spots go all out to help your family create those memories that only can come once each year. 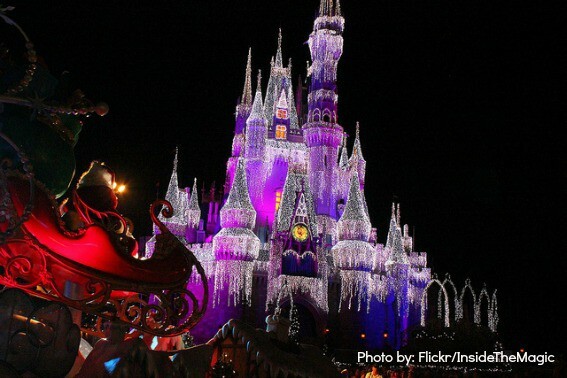 Here are our favorite Christmas events in Orlando. All are sure ways to help get your family dreaming of sugarplums and singing carols like children again. We Floridians long to pretend that our climate can produce frozen ponds with perfect ice for ice skating. While we may not have ice made by mother nature, Florida does have ice skating. Thanks to the City of Winter Park, people can enjoy ice skating under the stars as well as Light Up UCF, where lights, snow, holiday music and more fill the air to set the mood for this magical tradition. 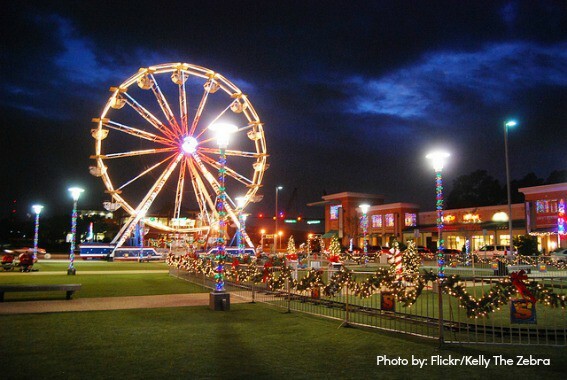 Light Up UCF also has holiday rides, holiday movies, and more to enjoy through out the holiday season. The town Disney built, Celebration, hosts Florida’s premier Now Snowing event is nightly along with faux ice skating too! With The Osborne Family Spectacle of Dancing Lights disappearing from Disney’s Hollywood Studios, there is a new spectacular in town! Jingle Bells, Jingle BAM! is included in park admission to Disney’s Hollywood Studios. Visit Disney’s Epcot to see IllumiNations: Reflections of Earth, which is a holiday version of its classic nighttime extravaganza. 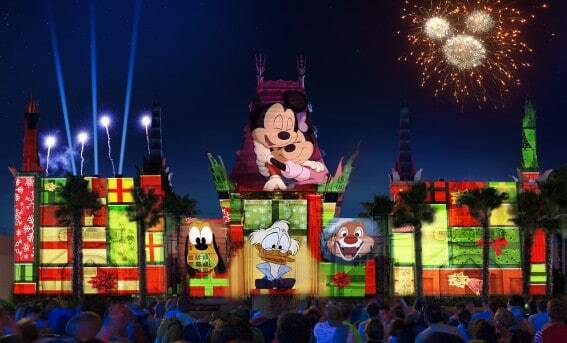 Of course Mickey’s Very Merry Christmas Party will always be THE Christmas event of the season for Disney fans! If you have always wanted to be in New York City during the Macy’s Thanksgiving Day Parade, have no fear, Universal Studios Orlando has brought the parade to you! See the larger than life balloons float by just as they do in real life! Head to Universal’s Islands of Adventure to enjoy the whimsical world of Dr. Seuss through Grinchmas. Based on the Dr. Seuss story, How the Grinch Stole Christmas, watch the “Grinchmas Who-liday Spectacular” where all your favorite characters come to life and Dr. Seuss’ Landing becomes alive with the holiday spirit being spread by all the Whos from Who-ville, and yes, even the Grinch himself! Head to the Gaylord Palms Resort in Kissimmee as their nightly FREE live holiday stage show combines a holiday concert with an acrobatic and light show by Cirque Dreams and you’ll instantly get in the holiday mood. The Walt Disney World Swan and Dolphin Resort has families mingling with Santa, lighting the tree with Mrs. Claus, and even getting tucked in by one of Santa’s Elves. Stay at Grande Lakes Orlando and enjoy Santa’s Teddy Bear Tea or even enroll in Gingerbread School to learn from the award-winning Grande Lakes pastry team how to build their own gingerbread house just in time for this sweet season. Get tucked in by Santa’s Elves or wake up and have breakfast with Santa at the Omni Orlando Resort at Champions Gate. So many fun ways to make holiday memories this season with a long winter nap at your favorite hotel. Snowfalls are not common in Florida any time of year. However, snow flurries can be found at various theme parks during the holidays. Visit Mickey’s Very Merry Christmas Party at Disney World, or Seaworld’s Christmas Celebration for a theme-park snow-filled day. 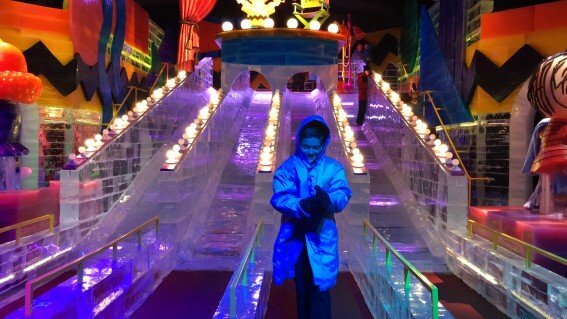 And, if you are craving a true North Pole experience, visit ICE! 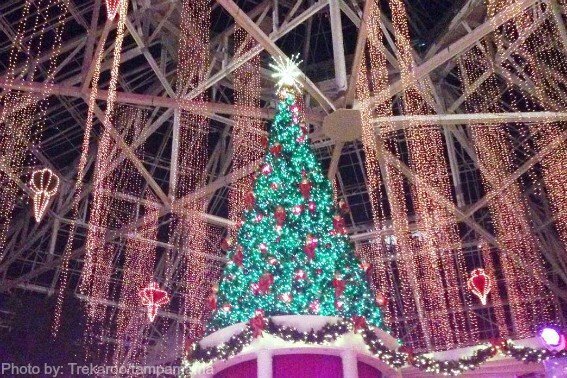 featuring A Charlie Brown Christmas at the Gaylord Palms in Kissimmee. Two million pounds of ice are hand carved into majestic art displays that depict A Charlie Brown Christmas. Slide down ice slides as you play in the room that’s kept at a chilly 9 degrees while wearing parkas to keep you warm. Alpine Rush is ready for your kids with 8-lanes of snow tubing and even real snow balls to throw! It is truly a winter wonderland to walk through these majestic ice displays at the Gaylord Palms Resort. Insider Tip! Bring your hat and mittens! You can also venture to the nearby town of Celebration where the nightly Now Snowing events are spectacular! Listen to the strolling Charles Dickens Carolers, sit on Santa’s lap, take a horse-drawn carriage ride, or play in the nightly snowfall. 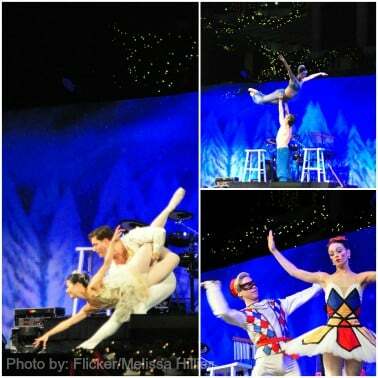 The Orlando Ballet will perform The Nutcracker at the Dr. Phillips Center during December. Watch the beautiful ballerinas dance across the stage as you listen to the classical story unfold as Tchaikovsky’s classic ballet story is played. It’s always a magical night for families. It is a holiday memory that children will never forget and parents will reminisce of their first time seeing this live performance. 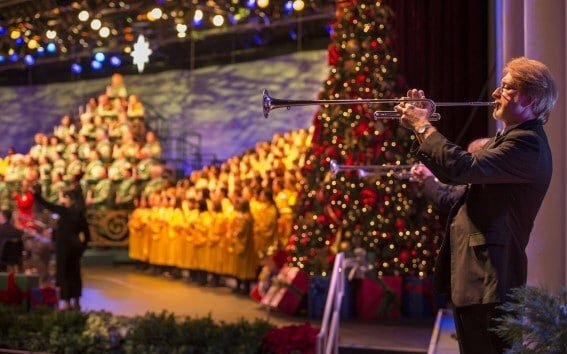 The Candlelight Processional at Disney’s Epcot is one of the most magical sounds of the season. Hear the beautiful story of Christmas featuring different celebrity narrators in addition to the 50-piece orchestra and mass choir. This is a beautiful sight to see with voices that will have you in awe. With the completion of Disney Springs, this will be the first year that they are decked in traditional Disney grandiose holiday decor from every store to every window in the full spirit of the season. A nightly tree lighting ceremony will take place at the Once Upon a Toy fountain play area. And if you are in search of holiday trees, Disney Springs debuted their Christmas Tree Trail. Fifteen different Disney decorated trees along with a light “snowfall” as you stroll through the trail. 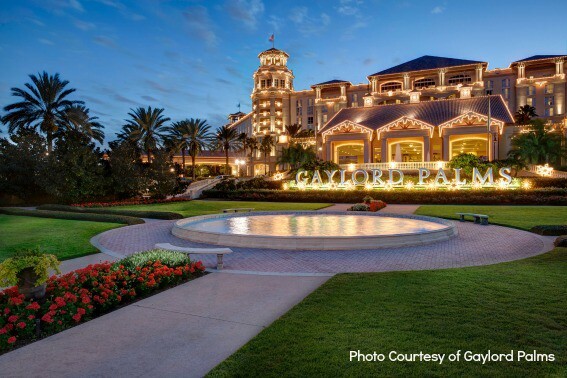 Each night at the Gaylord Palms Resort, the Magic Tree will be lit with a live holiday concert and glorious splendor. Visit The Orlando Museum of Art for their Festival of Trees as they have decked out their halls with trees that could reach the sky, adorned with twinkling lights and jewels that shine and sparkle. It is always magical to spend the holidays in Orlando. Very emotional and extremely beautiful. But nothing compares to the dancing lights at Hollywood Studios. It is definitely a must see for everyone spending the season there.